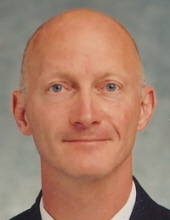 Robert E. "Bob" Havlin Jr. Celebrating the life of Robert E. "Bob" Havlin Jr.
Obituary for Robert E. "Bob" Havlin Jr.
PITTSBORO, IN- Robert E. “Bob” Havlin Jr., 57, passed away at Methodist Hospital in Indianapolis on Tuesday, July 31, 2018, from injuries received in a motorcycle accident in Plainfield on July 25, 2018. His wife, Wanda Harville-Havlin, 47, passed away on August 1, 2018 as a result of the same accident. Bob was born in Indianapolis on November 15, 1960 to Robert Sr. and Margaret “Peggy” (Raftery) Havlin and has lived in the Pittsboro area for the past 4 years. On June 19, 2010, Bob married his companion, Wanda Harville, who Bob lovingly crowned as “Wandaful!” Together they made their “LOVE SHACK” in Pittsboro. Bob was a graduate of Eastern Hancock High School-Class of 1979. He also graduated from Ball State University in 1983, where his fraternity brothers of Sigma Phi Epsilon dubbed him as “Head Bob.” Bob became a firefighter with the Pike Township Fire Department in 1989 and retired in 2013 after 24 years of honorable service. He was a laboratory technician for Koorsen Fire and Safety for the past 4 years. Bob was a member of the Masonic Lodge and worshipped at St. Malachy Catholic Church in Brownsburg. He was a loving father, husband and a very giving man. He was a Boy Scout Troop leader for his sons. Bob and Wanda loved riding their motorcycle, especially on behalf of the Miracle Charity Ride for Riley Hospital. They were both avid Indianapolis Colts fans and season ticket holders. He and Wanda were strong supporters of Benchmark Foster Care Agency. Bob was a gifted handyman and enjoyed working on special projects of any kind, making something out of nothing. Visions that Bob had were brought to life and they were unique and one of a kind, like walking sticks that he hand crafted. Bob liked working with fire extinguishers and even had his own company for a while called “Distinguished Extinguishers.” An amazing and brilliant life light has left us too soon. A Mass of Christian Burial for Bob Havlin will take place on Tuesday, August 7, 2018 at 11 am at Holy Spirit Catholic Church. Monsignor Paul Koetter will serve as Celebrant. Cremation will follow the Mass. In honor of Bob’s 24 year membership, the Pike Township Fire Department will accord honors. A Celebration of Life gathering for Bob and Wanda will take place at Adaggios, 5999 W. Memory Lane, Greenfield, IN 46140 on Tuesday from 2 pm to 8 pm with food provided by the family and friends of Bob and Wanda. Services for Wanda Harville Havlin will take place at 1 pm on Wednesday, August 8, 2018 in the Owens Funeral Home, 412 North Harrison Street, Alexandria. Dr. Robert Brink will officiate. Interment will follow in Park View Cemetery in Alexandria. Friends may call at the Owens Funeral Home in Alexandria on Tuesday from 4 pm to 8 pm. Owens Funeral Home in Alexandria is honored to care Bob, Wanda, the Havlin and Harville families. "Email Address" would like to share the life celebration of Robert E. "Bob" Havlin Jr.. Click on the "link" to go to share a favorite memory or leave a condolence message for the family.